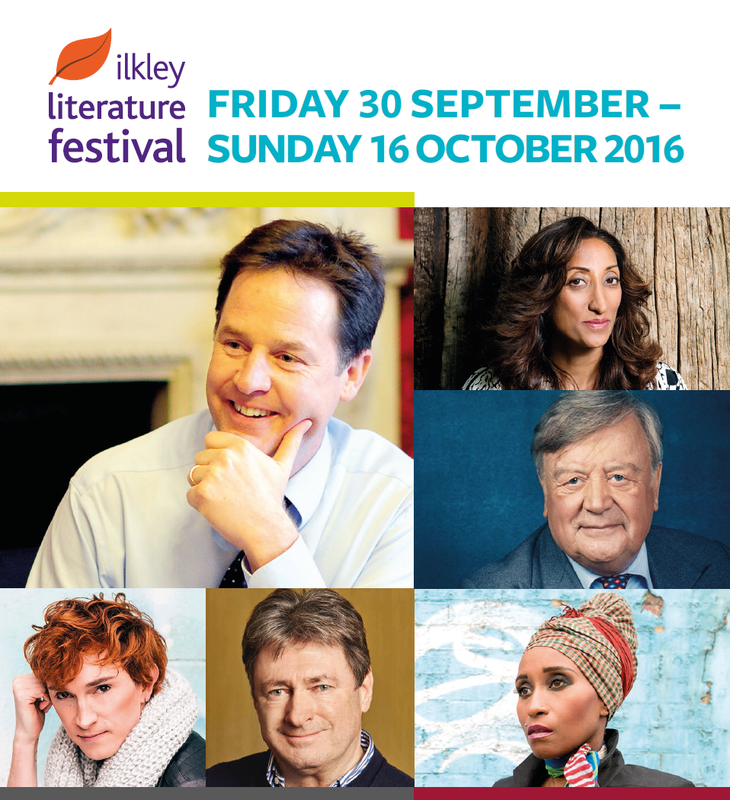 We are delighted to bring you the 2016 Ilkley Literature Festival programme, featuring over 240 events including Alan Titchmarsh, Ken Clarke, Sian Williams, Damon Hill, Nick Clegg, Sir Tony Robinson, Shazia Mirza, Tracy Chevalier, Joanne Harris, Simon Armitage, Daljit Nagra, Jenni Murray, Jean ‘Binta’ Breeze and many more. Our Children’s Festival is headlined by Jacqueline Wilson with fantastic events for anyone aged 3 – 12 including Ben Faulks (AKA Mr Bloom) and a magical Harry Potter Show. Plus Young People have the chance to see some of their favourite authors including Holly Smale and Juno Dawson. Saturday 1 October 4.30pm Kings Hall, Ilkley £12/10. Click here for more information. Saturday 8 October, 11am – 1pm, Rombalds Hotel, All Levels, £15/10. Click here for more information. Tickets go on general sale at 9am on Tuesday 30 August. Festival Friends can book from Thursday 18 – Wednesday 24 August. You can become a Festival Friend for just £25.